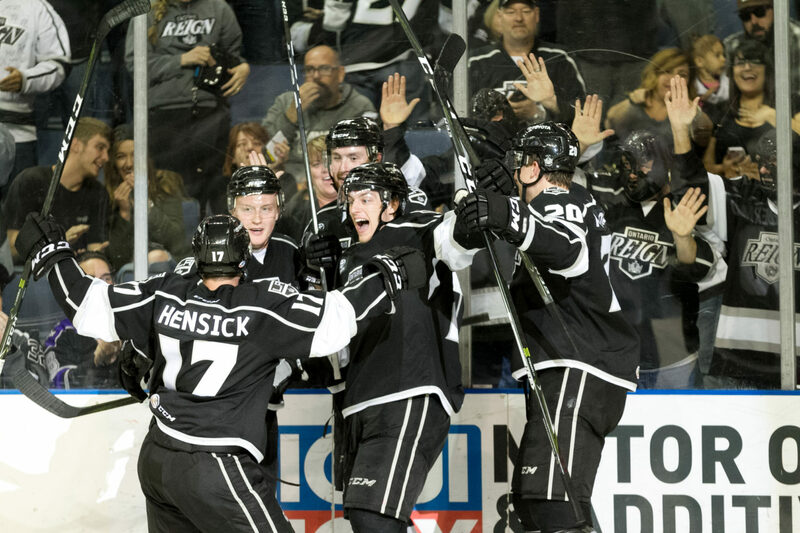 Another day it’ll be for the Reign, who entered Monday’s game in Ontario in a win-or-go-golfing scenario. 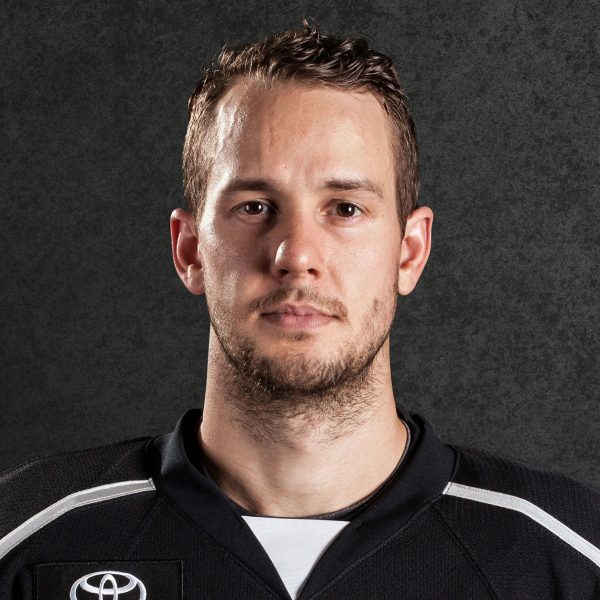 Ontario used a breakthrough performance from Justin Auger (two goals, assist) and broke a tie going into the third with an outburst of goals to defeat San Diego 4-1 in Ontario. The winner-take-all Game 5 will be on Tuesday in San Diego. 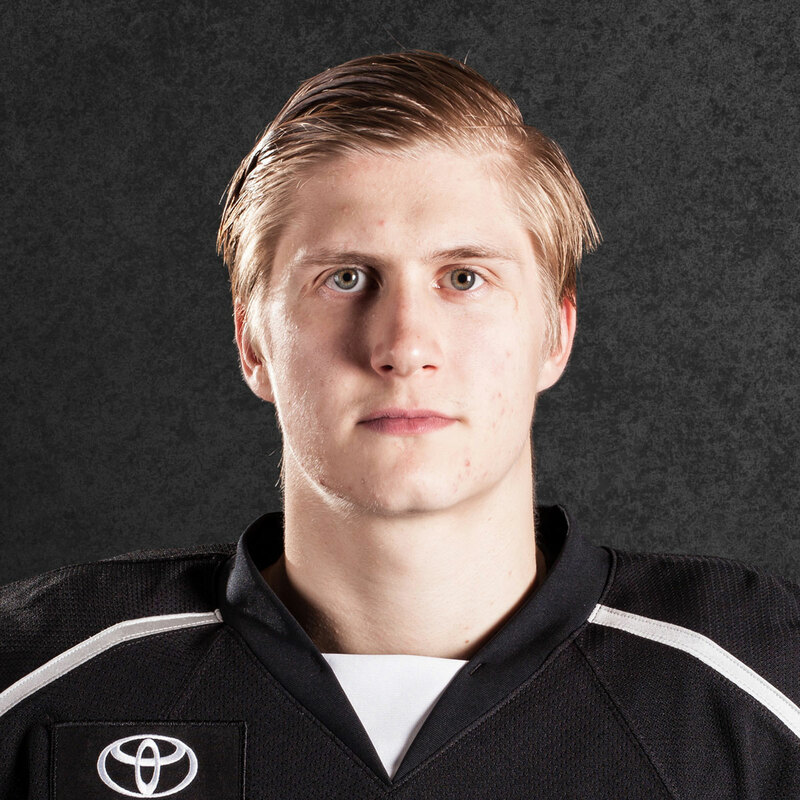 The Reign got on the board first by virtue of a partial breakaway for Auger, courtesy of a feed off the boards outside the blue line by Jonny Brodzinski. Auger’s deke beat Gulls goalie Jhonas Enroth up and over his glove at 5:16 of the second period. The Gulls answered with a power play mark late in the second, a Keaton Thompson one-time blast from the top of the right circle that eluded Jack Campbell. That set the stage for one fine third period for Ontario, their best 20 minutes of the entire series. Paul LaDue scored 3:30 in as he crept down the right point and collected a nifty pass from T.J. Hensick and buried it short side high. Auger made it 3-1 just 15 seconds after a Reign power play expired at 14:57. 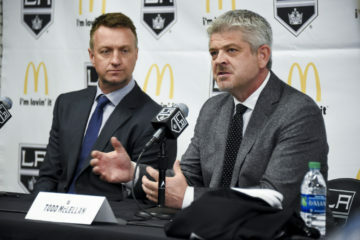 He took a long rebound of a Cameron Schilling shot that bounced off a screening Michael Mersch and buried it into the net with Enroth no where near making save. Hensick completed the scoring with an empty-netter. –T.J. Hensick – Ontario’s veteran centerman now leads the series with five points (two goals, three assists) and he and the leadership group seemed to answer a challenge from the morning quite nicely: “I think we can be frank here. We got called out this morning, guys that need to step up and make some plays, try and be the difference,” he said. Hensick was, particularly on the passing play that resulted in the LaDue goal. On his empty-netter with 1:54 left he tipped the puck by Nic Kerdiles in the neutral zone and chased it down to seal the win. 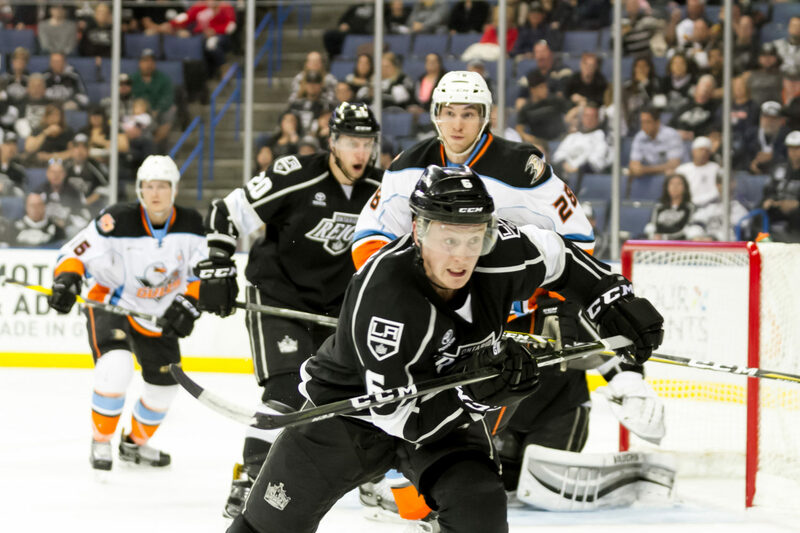 –Paul LaDue – The Reign were once hoping all three of their players returning from the Kings would be available for this series, but while Adrian Kempe and Brodzinski were, LaDue was sidelined until Game 3. In this one, he lived up to the expectations that come for a player with NHL experience. The 24-year-old blue liner was active on the point, at one time dangling around Kerdiles in a play that wowed the Ontario crowd, and of course, netted the game-winner. His return has given the Reign much more versatility and poise on the back end. 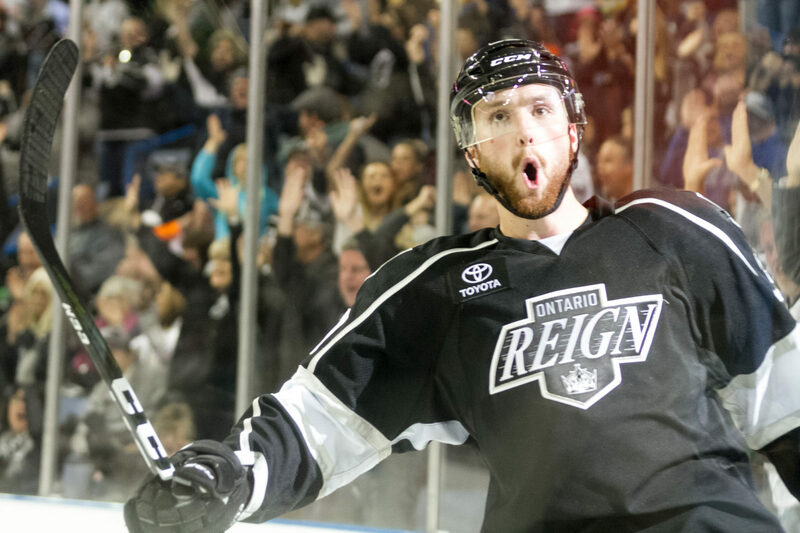 Much of the talk for the Reign going into this elimination game was execution. LaDue’s ability to finish early in the third put the Gulls on their heels. 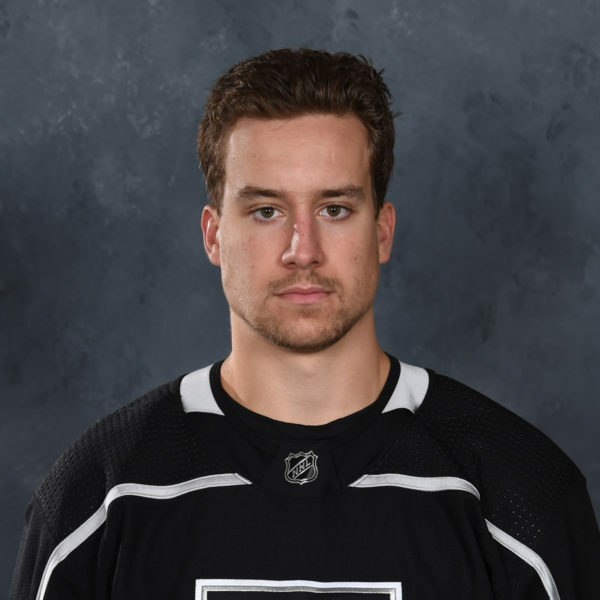 When Sam Carrick smashed Jonny Brodzinski face-first into the glass behind Enroth, the Reign earned a man advantage that they didn’t score on, but the power play corps kept the puck in the zone resulting in Auger’s second of the game. 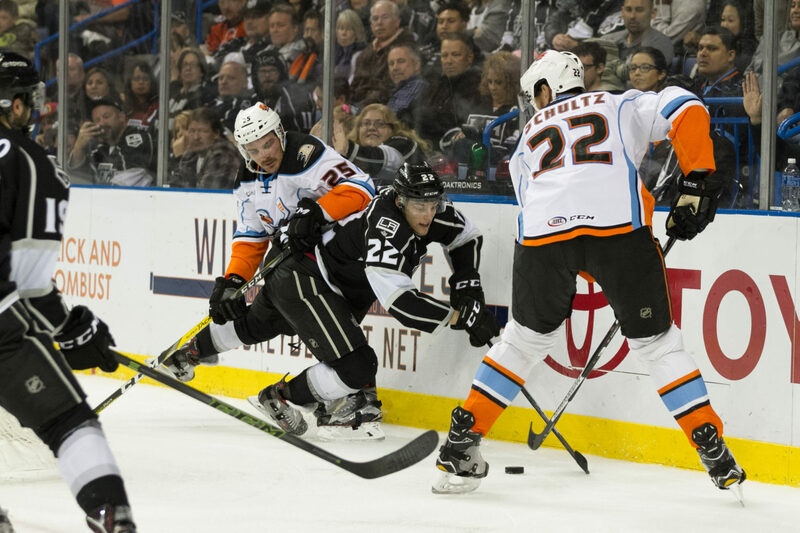 –22 – The Reign held the Gulls to just 22 shots on goal, their lowest output of the series. Campbell indeed bested Enroth by allowing just one goal against to Enroth’s three on 34 shots. Reign forward Philippe Maillet did not play as he went to Calgary to accept his prestigious award of BLG Sports Male Athlete of the Year. The Ducks reassigned forward Kerdiles just an hour and a half before game time after he was recalled on Sunday, along with Ondrej Kase, who remains with Anaheim. 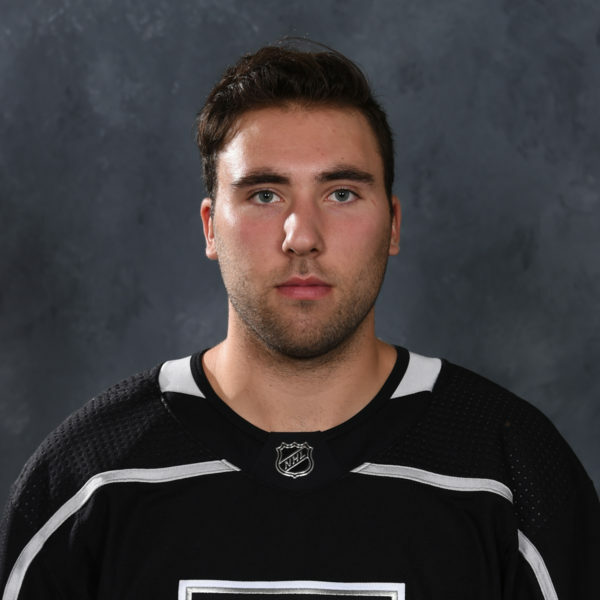 … Reign center Andrew Crescenzi (undisclosed injury) has yet to play in this series and hopped on the ice after morning skate ended to do work in a red no-contact jersey. … Gulls’ regular season leading scorer Corey Tropp (upper-body) missed his third straight. He was injured in Game 1. … Gulls forward Jack Kopacka, a fourth-round pick by the Ducks in 2016, played in his first AHL game. Reigning AHL Goalie of the Year Peter Budaj was in attendance to watch his former teammates play and stopped by the press box with his son. 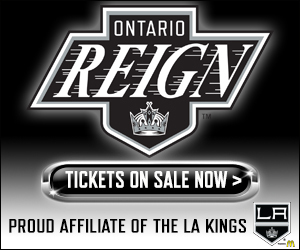 … According to Reign security staff, Enroth busted the Reign’s postgame interview banner after exiting the ice. Word is downstairs that this was done by Enroth after leaving the ice. The AHL plays a best-of-5 first round so this one will go the distance on Tuesday, as expected. “Hey, if anyone thought this series wasn’t going five games they were dreaming,” Gulls head coach Dallas Eakins said.